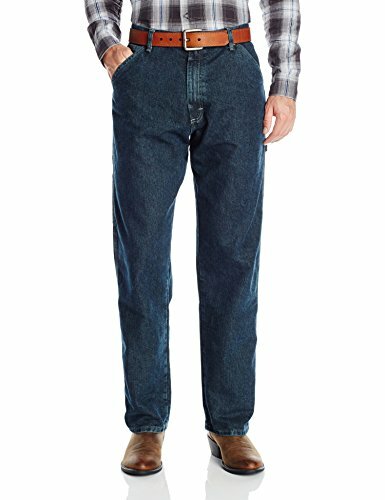 Wrangler Authentics Men's Classic Carpenter Jean, Storm, 34x32 UTILITY STORAGE. CELL PHONE POCKET. 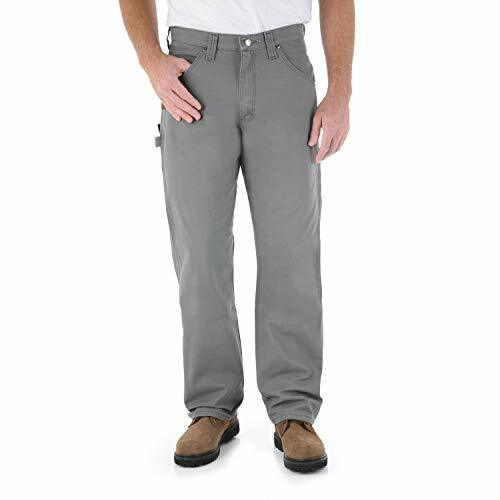 These carpenter shorts feature a pocket to secure your cell phone or other belongings while you work. Also contains (2) slash front pockets and (2) back patch pockets, and (1) hammer loop for additional storage. RELAXED FIT. Constructed with your comfort in mind, these carpenter shorts are made with a relaxed seat and thigh and sit at the natural waistline. CLASSIC CARPENTER STYLE. 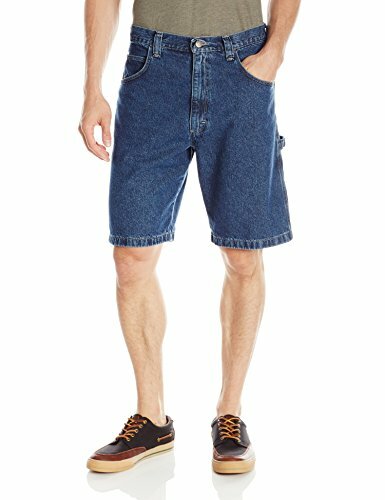 Great for any woodworker or craftsman, this classic carpenter short is designed in with an authentic carpenter style and durable materials that keep you comfortable. ALL DAY COMFORT. 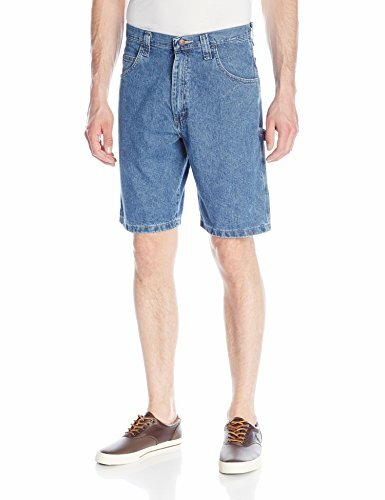 These carpenter shorts are made with a 100% cotton fabric that keep you comfortable all day and built to last through any task. HEAVY DUTY HARDWARE. These work shorts are finished with a brass zipper fly and metal button closure.